Got these in the mail today. Jason_WI made them starting with the graphics files that Levent Suberk posted recently. Printed them out on cardstock. 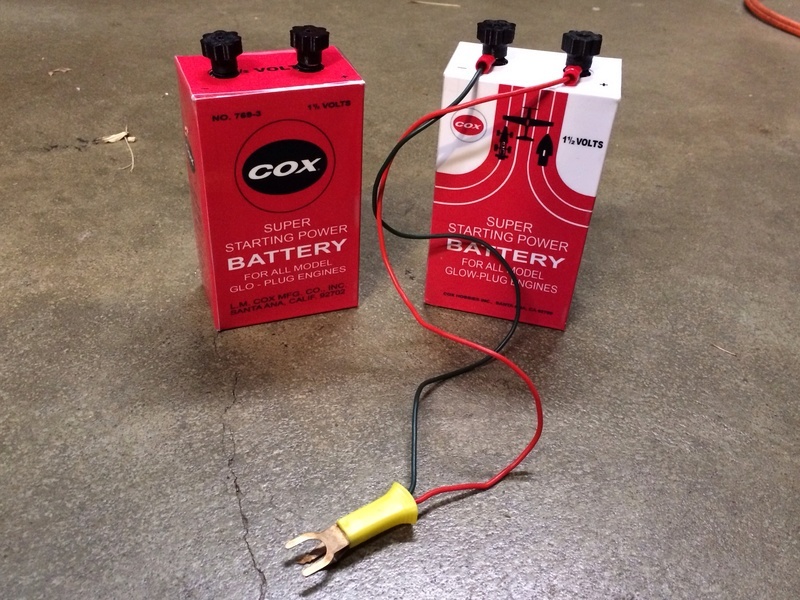 He used his 3D printer to make plastic battery holders which contain 3 D-cells. Note the cool studs with plastic nuts on top to attach the leads for the starter clip. He sealed them with a layer of clear packing tape to prevent fuel from ruining them. He made them for me in trade for an engine I sent him. After the USPS managed to damage the engine enroute and lost the parts Jason purchased to repair the damaged engine, they finally came through today by delivering these awesome battery boxes intact. 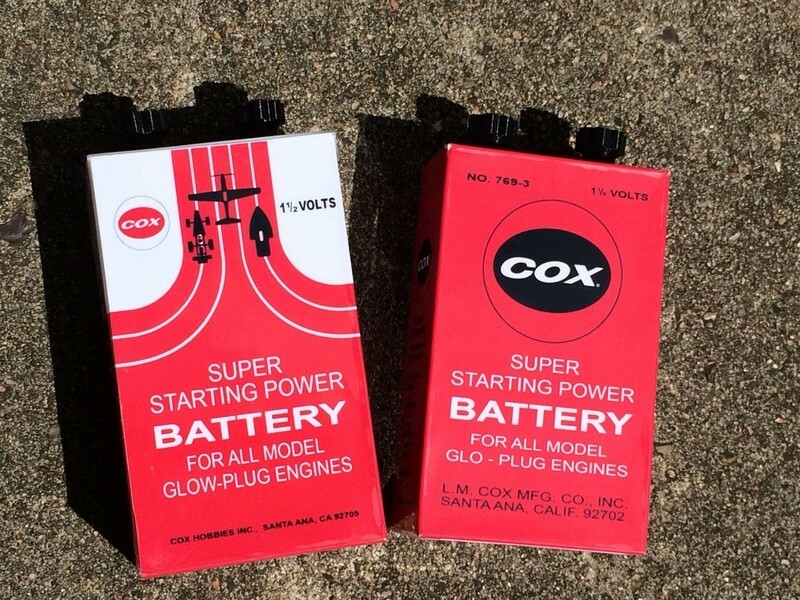 Thanks again to Levent Suberk for his awesome graphics work and to Jason_WI for making these real functioning pieces of Cox nostalgia! I look forward to starting my engines in style next time out. Dang those look great! Sorry to hear of the hassle along the way though. Really cool! I can't wait to get my mitts on one of those! Admin wrote: Really cool! I can't wait to get my mitts on one of those! Jason, do you have an order form?? 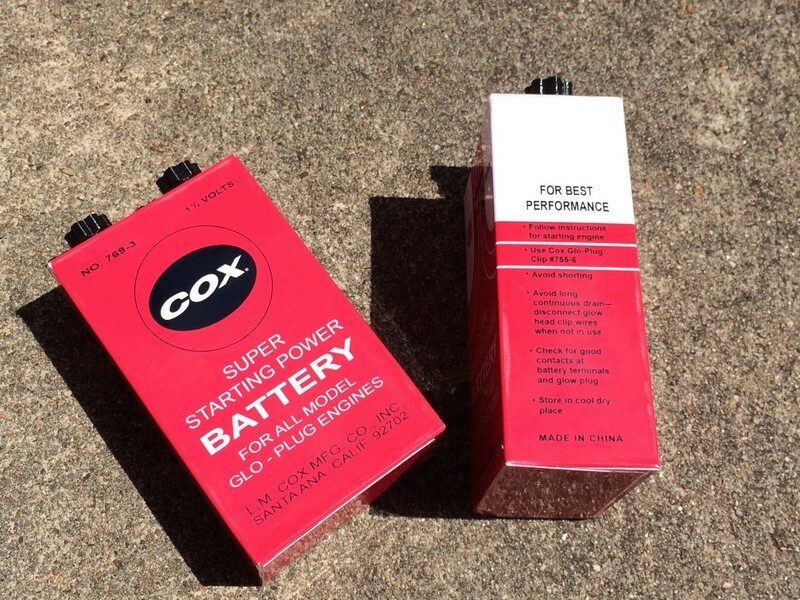 Cox fans want to know! The boxes were printed on photo paper then covered with a clear self sticking laminating sheet of plastic. A thick piece of cardstock was then glued to the back of the photo paper to give it some rigidity. Cut out then folded. I taped the seams with crystal clear tape to somewhat fuel proof them. They have a glossy plasticy feel to them. 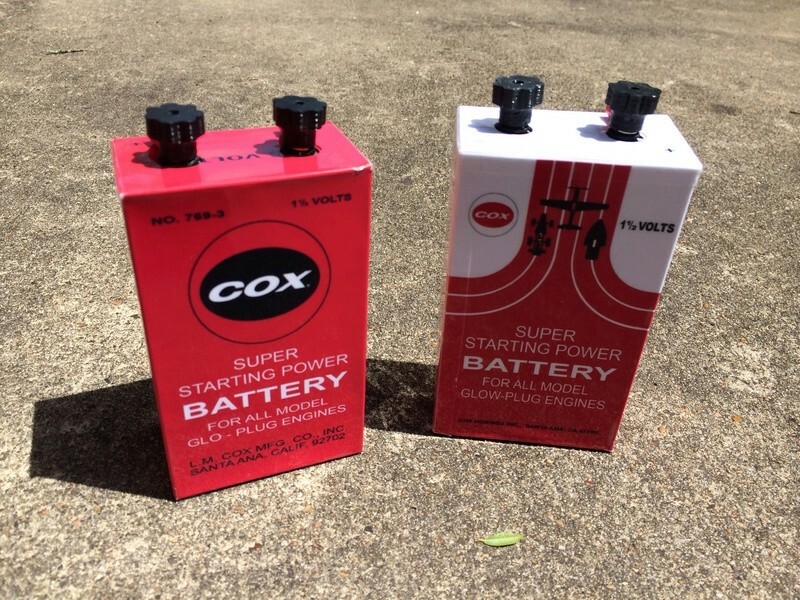 The batteries can be replaced by removing or cutting the tape for the top lid. Shipping with batteries installed is somewhat cost prohibitive. A single one with batteries in a 6x6x6 box weighing 22oz is $9.85 for shipping. USPS raised their rates. The knobs are 3D printed and have M3 knurled brass insert nuts melted in with a soldering iron. This way they shouldn’t fall apart. Levent has the image for private use only. I can sell you the 3D printed box but you will have to print the outer box using the image. Bartering skirts the sold for profit since we exchanged items of equal value. This one was taken inside to avoid the mid-day shadows. 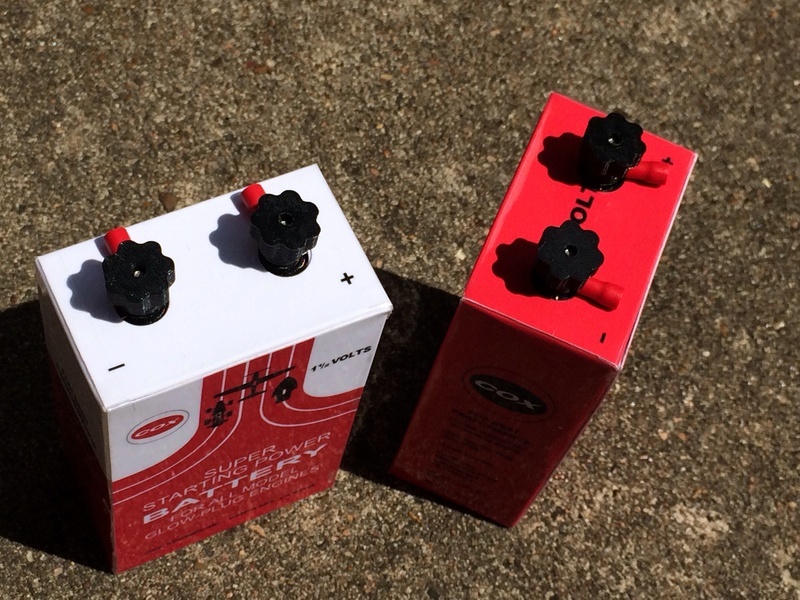 "Shipping with batteries installed is somewhat cost prohibitive. A single one with batteries in a 6x6x6 box weighing 22oz is $9.85 for shipping. USPS raised their rates." On the other hand if there's a heavy hitter quantity buyer out there, a medium to large USPS Flat Rate Priority Mail box is a great deal on shipping cost.